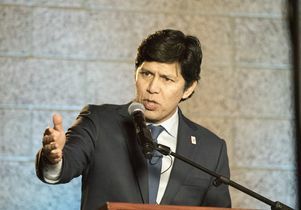 California Senate President Pro Tem Kevin de León delivering the keynote address at the Latino Policy and Politics Initiative launch event. 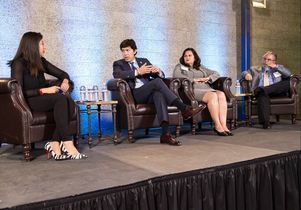 The newest research center at the UCLA Luskin School of Public Affairs aims to bring together scholars and policymakers to share information so that political leaders can make informed decisions on issues of interest to Latinos, and its kickoff event exemplified that goal. Students, faculty and administrative leaders from the UCLA Luskin School of Public Affairs and throughout UCLA were among a crowd of about 175 people that also included elected officials, community activists, business leaders and other stakeholders who gathered in downtown Los Angeles on Dec. 6 to celebrate the launch of the Latino Policy and Politics Initiative. 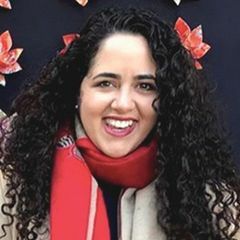 One of the goals of LPPI, which received its startup funding from UCLA Luskin and the division of social sciences in the UCLA College, is to provide better access to information — real data, not alternative truths — to help leaders nationwide resist attacks on immigrants and also help them to craft new policies on other issues vital to Latinos. Many of the 20 scholars from across the UCLA campus who are part of the initiative’s faculty advisory council attended the launch event, which began with a networking reception at La Plaza de Cultura Y Artes near Olvera Street, the founding site of Los Angeles itself. As musicians from La Chamba Cumbia Chicha performed, attendees had an opportunity to meet and exchange ideas with the featured speakers and various former and current elected officials in attendance, such as Gil Cedillo, the former state senator and current Los Angeles city councilman. 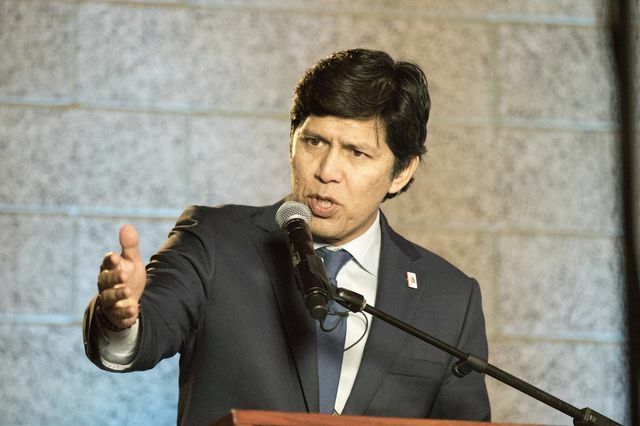 Also in attendance were former California assemblyman and state senator Richard Polanco and Amanda Rentería, the former national political director for Hillary Clinton’s campaign and now a staff member in the executive office of California Attorney General Xavier Becerra. 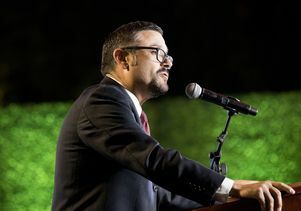 Segura said it is his goal — and the mission of the Latino Policy and Politics Initiative — to unite scholars and policymakers for mutual benefit, helping academics turn research into actionable policy. 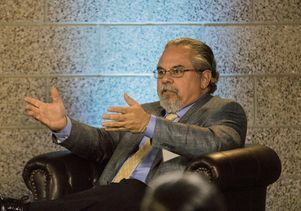 Read the full story on the UCLA Luskin School of Public Affairs website.